We're back at Shadow Creek Weddings and Events for the rest of the rustic Indian fusion wedding Wit Weddings perfectly planned! 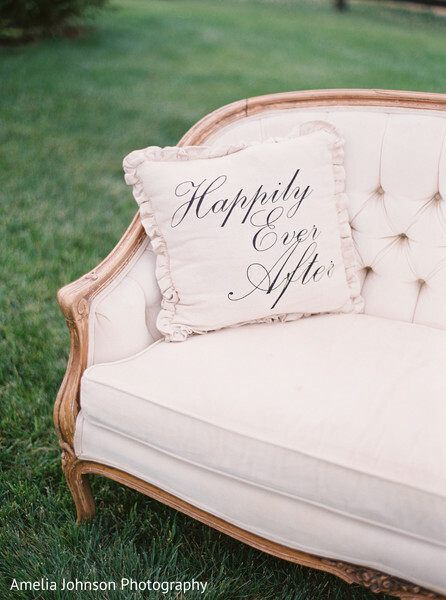 For the reception, Paisley and Jade provided the charming rentals that added an air of sophistication to the event; the white couch and pillow reading "Happily Ever After" were especially enchanting! 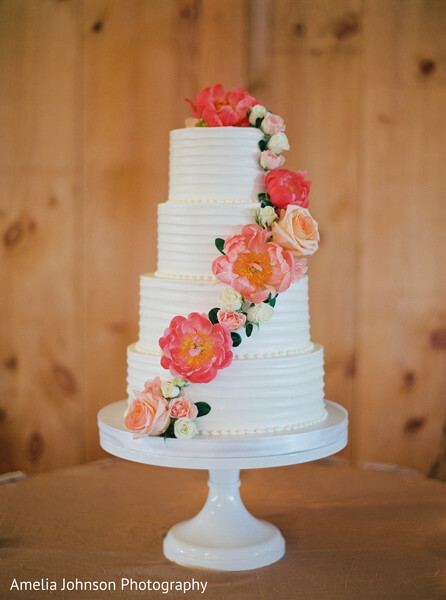 Holly Heider Chapple was in charge of adding the peach and coral colored flowers that filled the venue, while the fresh flower-covered wedding cake was from Fluffy Thoughts Cakes. As for food, R&R Catering cooked up the delicious dishes that kept everyone satisfied! With wonderful makeup by Caitlyn Meyer Professional Makeup Artist and Hair Stylist, our Maharani looked radiant as she danced with her Raja! 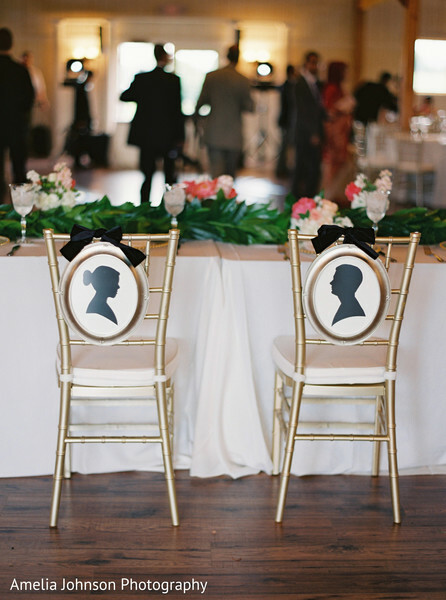 See the rest of the romantic moments Amelia Johnson Photography captured in the full gallery! "We danced to Eric Clapton's song 'You Look Wonderful Tonight' for our first dance." "My favorite moment from our wedding was at our Holud. It was so cool to come down the steps at my in-laws home while my bridesmaids were beside me with the music playing and people cheering. I went and sat on the couch and waited for them to bring down my then fiance. It was a really neat moment and made us feel really special." 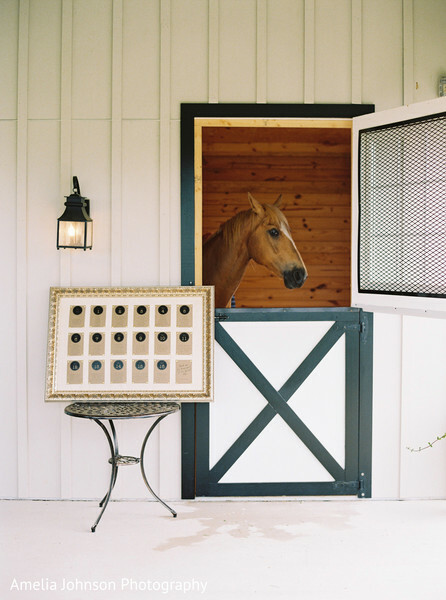 "I worked with a specialist, Caitlynn Meyer, who was absolutely incredible. I had worked with her for a few wedding events so we were really able to perfect the looks for the wedding events. 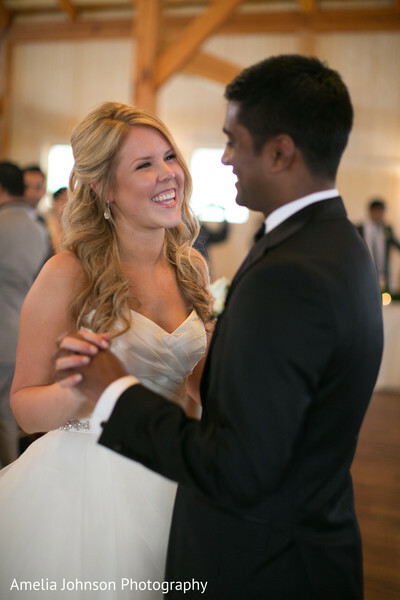 I was so happy with my Holud makeup because I had never worn so much make-up. I felt like a princess and it was really fun. 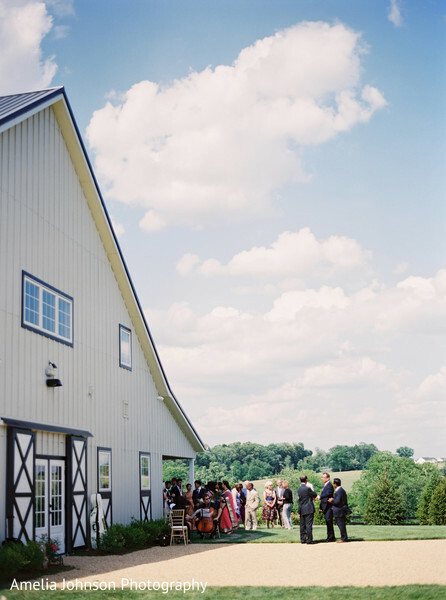 I also loved my wedding hair and makeup because it was more my style and I also felt beautiful." 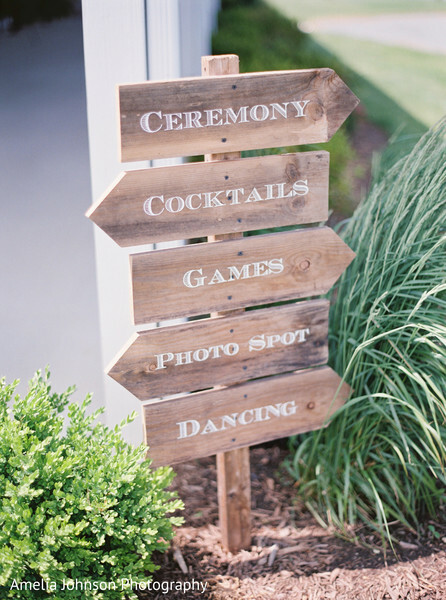 "My family and friends helped throughout the whole wedding with details, thoughts and ideas. My bridesmaids planned a dance to do at my wedding reception that was really cool. I wouldn't have been able to plan the wedding without them!" "I surprised my husband with a Sean Taylor Redskins grooms cake. My husband is a die hard Redskins fan and he was absolutely shocked. Also, I wore my grandmother's ring on my hand throughout all of my wedding events. It was like she was there with me and I looked down throughout every event a million times and thought of her. She gave me the ring before she passed away so it was really special. I also used some of the money she left me to buy my wedding dress so that she was part of the wedding." Join us tomorrow for another spectacular shaadi! Caitlyn Meyer Professional Makeup Artist and Hair Stylist is a member of the Platinum Guide. Love what you see? Explore their portfolios.